School superintendent ready to launch his Equity 2.0 initiative but critics feel they have been left out of the planning. For years, Portland Public Schools superintendents have all tried and failed to erase the achievement gap between white students and their black or brown classmates. Now, it's Superintendent Guadalupe Guerrero's turn. Guerrero says his motivation for all of the work he is doing to restructure PPS is about getting equitable outcomes for students. "I'm just saying, give me a crack at it," he said recently from his second-floor office in North Portland. Guerrero, who is Latino, has a personal journey overcoming the odds and national bona fides on equity issues. The child of a single mother, Guerrero learned English as a second language at school. His ability to overcome the achievement gap led him to Harvard University. Now he gives talks around the country on how to level the playing field between children of color and their white peers. Guerrero's philosophy might be summarized as: The system has to change for systemic oppression to be rooted out. What he doesn't say is that no one has really figured out a system-wide way of changing public school outcomes for students of color. The Seattle Times' Education Lab, for example, dug into its archives recently to discover that in 70 years of equity promises and initiatives, the racial achievement gap in Seattle Public Schools has actually gotten worse. Nationally, there are pockets of success in a school or a program, but urban districts in particular continue to have stark disparities along racial lines. 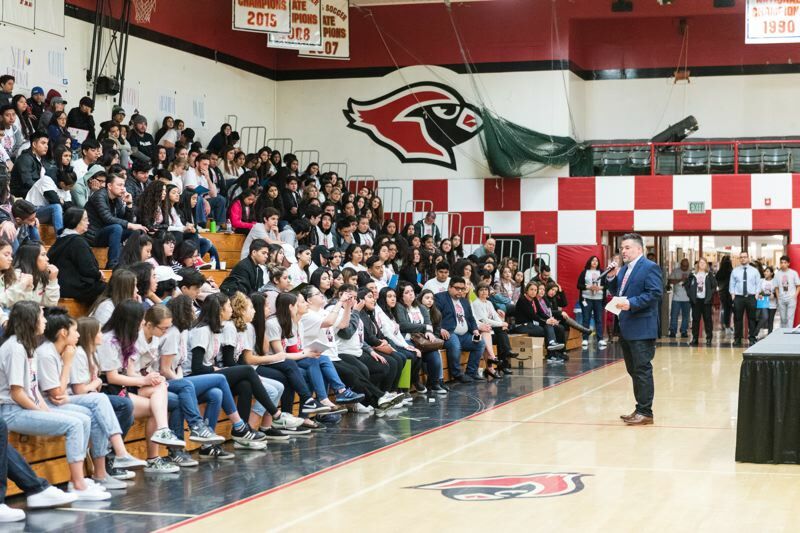 Guerrero, the former Deputy Superintendent for Instruction, Innovation and Social Justice at San Francisco United School District, points to his success with a math program that could adjust to each child's pace. 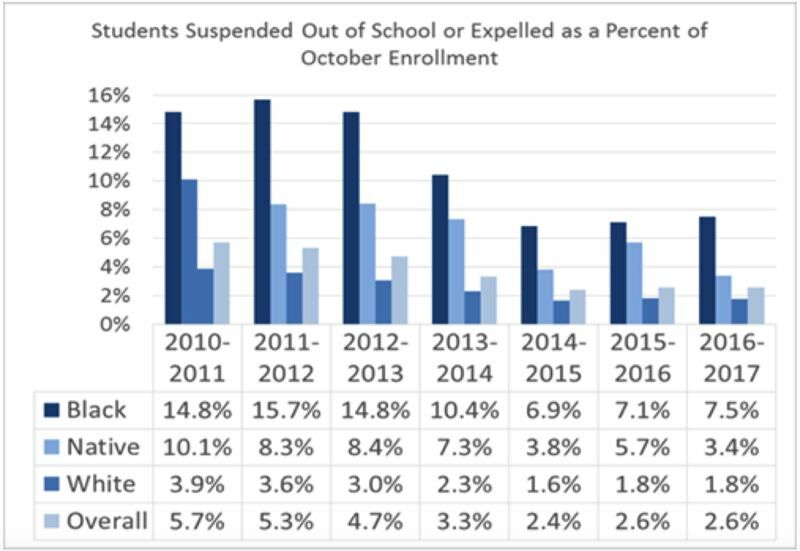 But data from 2016 shows that while 69 percent of white San Francisco students met grade level standards in math, only 12 percent of their black students did. Indeed, the racial gap there was hardly cured under Guerrero's leadership. The LA Times reported that black students in particular would be served better almost anywhere else in California than in San Francisco. A November 2017 "listening tour" report from San Francisco's new superintendent noted that while achievement data shows all ethnic groups' scores have risen in recent years, "the gap between groups that have been achieving at lower levels and groups achieving at higher levels has not been significantly narrowed." Guerrero has been getting significant pushback from Portlanders of color and their allies for moving too quickly and unilaterally to change the district's approach to equity. In a central office reorganization, Guerrero eliminated 65 administrative positions, including many in the Office of Equity and Partnerships. Whether that office was making a difference depends on whom you ask. In 2010, the school board passed an equity policy vowing to focus "significant" attention and resources on the disparities, which led to the equity office. At the June 12 board meeting, Cleveland High School students called out that policy and said they haven't seen changes during their school careers. Adam Nayack, a recent Cleveland graduate who is mixed race, said it seems to be up to the students to organize and educate around this issue — and they felt blindsided by the superintendent's cuts. "We do not feel that we were given a voice in the decision-making processes to cut equity funding," Nayack said. "We do not feel that we were treated as partners in any capacity." Kamelah Adams, vice president of racial equity and inclusion at Irvington Elementary School's PTA, said she is worried about the direction the superintendent is taking the district — slashing the Office of Equity and Partnerships and ending the contract for "Courageous Conversations" around race. Adams particularly takes issue with Guerrero calling himself the "chief equity officer" after firing Senior Director Jeanine Fukuda in the recent administrative reorganization. "How can you be the superintendent and the chief equity officer?" she says. "I just don't see how that's feasible to do both." Adams, an African-American, says she doesn't see the district leader reaching out to the community for solutions. "It would just be nice if the parent community and the teachers could be involved in this," she says. Meg Johnson, a white parent at Alameda Elementary School, says that's her biggest concern of what she's heard of Guerrero's new approach. "All of it suggests a great big absence of the people who they are claiming to want to address. "I really want the district to articulate what it saw as the problem, why they needed to change it, and what we can do as families," Johnson added. Adams and Johnson do not seem to be alone in their concerns. An online petition they started with a few other parents has gotten nearly 500 signatures asking the superintendent to explain his equity plan, and demanding a seat at the table. Guerrero says he has spent six months meeting with community organizations and school groups. What he's heard is that the old system wasn't working. "Equity is not something you externalize to some team," Guerrero says. "We all have to handle it." Portland has heard of these types of initiatives before; the devil is always in the details. Guerrero admits he has been light on details. But there is a reason. "How do I just come out of the gate and say 'This is the plan, everybody' and not have engaged stakeholders?" he asks. Guerrero has given his approach a rather techie name: Equity 2.0. In a nod to the major focus of longtime former Superintendent Carole Smith, he says the equity efforts of the past — including Courageous Conversations — laid the groundwork for what he wants to accomplish now. That work was all about getting this majority-white district to understand that subtle racism, unconscious bias and white privilege existed, he says. "Now we've really got to take it to the next level," Guerrero says. To him that means putting evidence-based instructional resources on the ground to directly impact students. "There's a reason why we're choosing a pedagogical model for teaching reading in our elementary schools, for instance," he says. "Because it allows you to differentiate for the individual child in front of you. Whether they are (learning English), whether they are (in special education), whether they're black, whether they're brown." 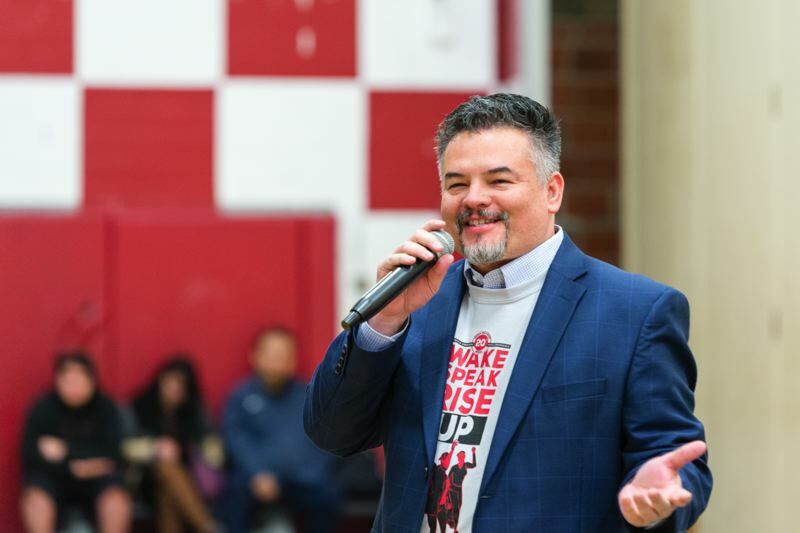 Superintendent Guadalupe Guerrero appears to have five major areas of focus in his plan to reduce the achievement gap in Portland Public Schools. Many are woven into other reorganization efforts and specific details have been hard to come by. Guerrero will hire a new senior equity advisor and by next school year start a council with membership from local groups serving people of color, such as Latino Network, NAYA and SEI. The 2018-19 budget calls for a big boost in IT spending, part of which will go towards creating student "dashboards" and "score cards" for schools. Data, Guerrero says, "changes the whole game and the way that we have been talking about it .... Everyone is talking in anecdote. It is not an evidence-based conversation." The Office of Talent & Culture's major goal for 2018-19 is to hire more teachers of color and other school staff. Guerrero also touts his "equitable staffing model" as a better formula for getting more teachers at struggling schools. Guerrero has been very vocal that the district lacks a core curriculum, let alone one based on scientifically proven methods of instruction. His plan for equity funding is to reuse those dollars to support struggling students of all backgrounds. Guerrero wants to "work more closely" with culturally specific district contractors and other "community partners." He also says directing dollars to support student groups would be "low-hanging fruit" in building a sense of belonging.